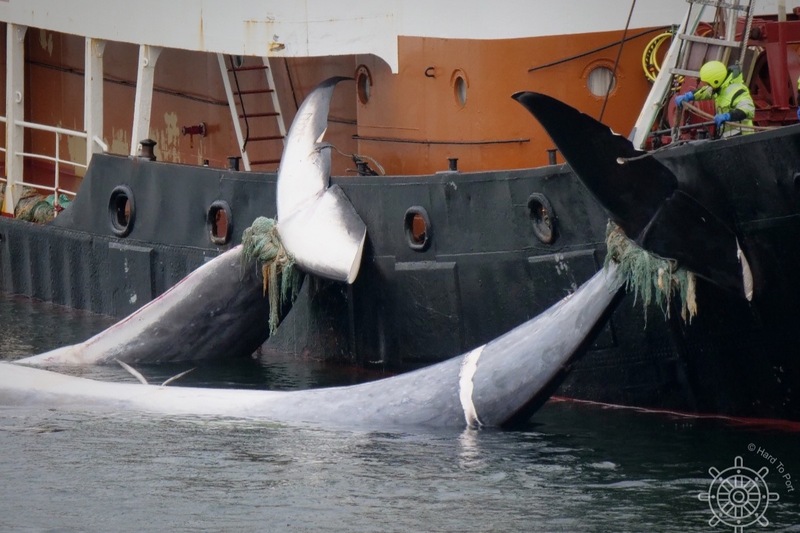 Help Hard To Port to expose the slaughter of endangered whales in Iceland. Hi there and thank you for stopping by my GoFundMe campaign! My name is Arne. I am a long- time marine activist and outdoor enthusiast. I have been opposing the commercial killing of the Great Whales - who are some of nature's most fascinating animals - for over 10 years. In 2014 I founded the marine conservation group Hard To Port to focus my activism on a single issue: commercial whaling in Iceland. 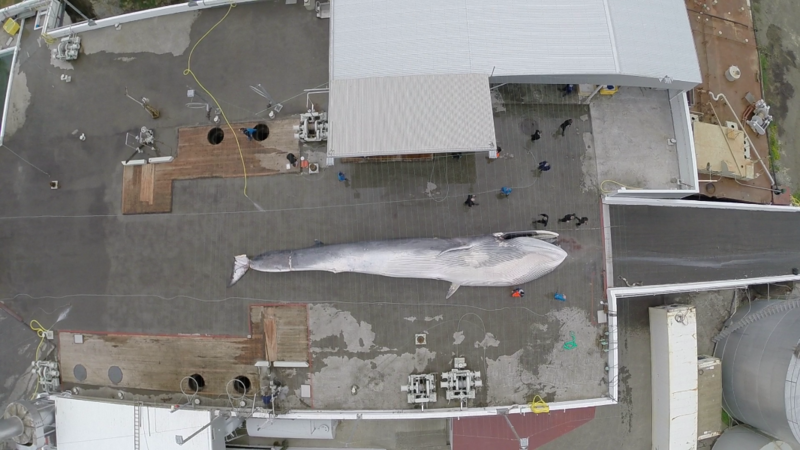 This summer I am heading to Iceland to oppose this year's fin whale hunt. The fin whale is the second biggest mammal on the planet and is listed on the IUCN (International Union for Conservation of Nature) Rest List of Threatened Species. 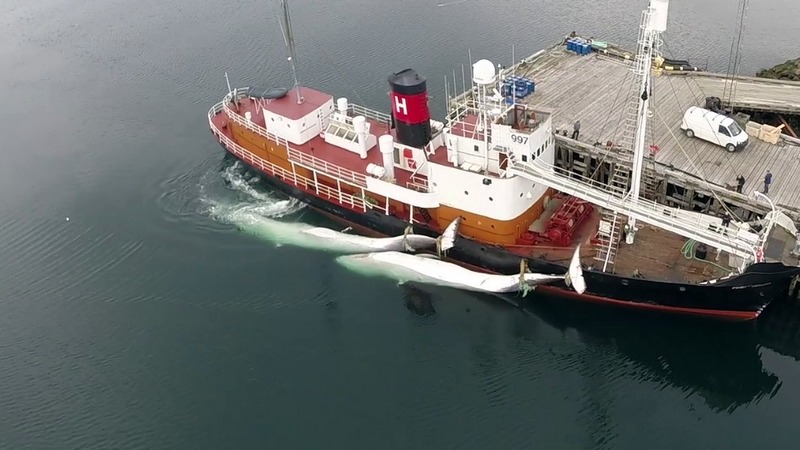 Despite international outrage and decreasing national support for his killing operations, Icelandic millionaire Kristján Loftsson is currently preparing his whaling fleet for the slaughter of up to 191 endangered fin whales in Icelandic waters. Four years ago we launched our "Whaler Watching Initiative" with the aim of bringing greater transparency to the commercial killing of fin and minke whales in Iceland. Through creative action and the use of powerful video equipment our initiative draws attention to the gruesome killing of these majestic animals, which takes place far off shore where it is largely shielded from public scrutiny. Since the launch of our initiative we had the opportunity to speak to many Icelanders, to listen to their views and concerns, and to find out first hand that many Icelanders still know very little about the reality of commercial whaling in Iceland. This lack of information is the result of an organized disinformation campaign whose aim is to obscure the gruesome reality of the whaler's killing operations. Hard to Port firmly believes that the lack of comprehensive and uncensored information undermines the possibility of an open, critical, and informed debate about the defensibility of commercial whaling in the 21st century. Local support for fin whaling is already at an all-time low, but we are convinced that even more Icelanders would reject the killing if they had more accurate information about the inhumane killing practices. In 2016, the leader of the Left Green Movement, Katrín Jakobsdóttir, who is now the prime minister of Iceland, met with our group for an interview. During our conversation Ms. Jakobsdóttir expressed her fundamental agreement with our concern for greater transparency. “[During my time as the leader of the LG-Movement] I have actually put forward some requests here in the parliament, asking for information, for example about how long it takes for the animals to die after it has been harpooned." 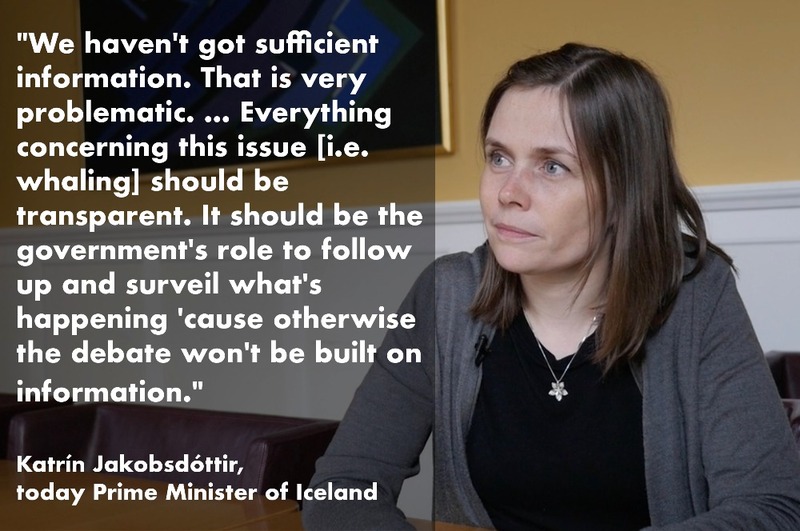 For our organisation it was reassuring to hear that this leading Icelandic politician supports the call for greater transparency and oversight. This summer, Hard To Port is heading back to Iceland in order to reinforce our demand for more transparency together with passionate Icelandic activists and other partners. If you believe that this is a worthwhile and important cause, I kindly ask you to help me to cover the basic costs of our work in Iceland. Your donations will help to defray the cost of such things as rental car, fuel, basic food supplies, and additional documentation equipment (if necessary). In return for your generous support you will receive regular updates about the situation on the ground via GoFundMe, our website, as well as our Social Media channels. To learn more about our organisation and to find more information about our campaign history, please visit our website at www.hardtoport.org (to be updated soon) and connect with us on Social Media for regular updates. You can find us on Facebook , Twitter and Instagram . a week ago Hard To Port has embarked for the 2nd leg of our Whaler Watching Campaign 2018. We continue to shine a light on the disturbing fate of some of Iceland's most fascinating wildlife. 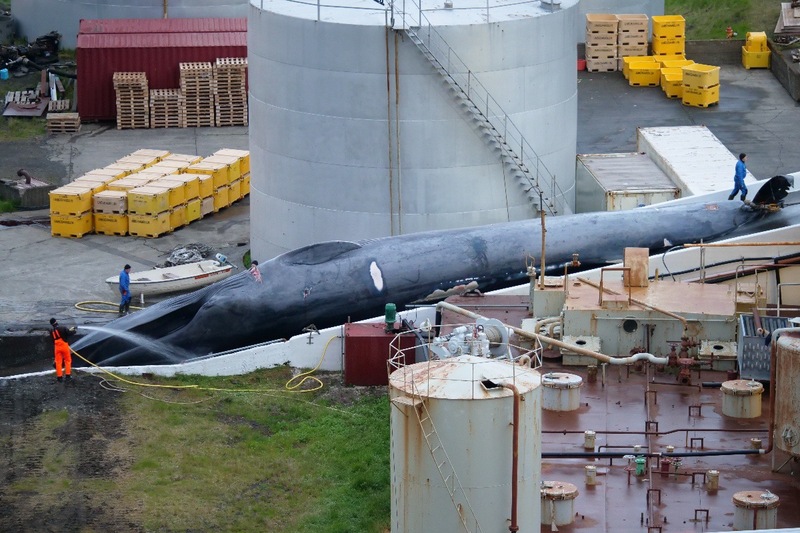 Over the past 5 years of campaigning, we have compiled the most comprehensive photo and video database of Icelandic whaling operations. While we will continue to shine a light on these activities, we have decided to balance our work in the coming months and increase our educational and outreach work here in Iceland. We feel the need to inform people about the important ecological role that whales play for healthy marine ecosystems (some scientists call them "marine ecosystem engineers") Unfortunately a lot of misinformation about these fascinating animals has been circulated for years here in Iceland. Mostly from the fishing industry, the whalers themselves and their political cronies. Based on the feedback from personal conversations with Icelanders, we are know that people are willing to listen to our arguments. Education is the key to change and we look very much forward to using our knowledge and footage to convince more people here in Iceland that whales should be celebrated, not killed. it is time for a long-overdue update on our Whaler Watching Campaign 2018. The past few weeks have been incredibly busy for our organization but also very productive. In the late hours of July 7th Hard To Port uncovered the 'accidental' killing of a very rare hybrid whale by the Hvalur h/f whaling company. It was the 22nd whale killed in their 2018 hunt. There have only been a handful of documented cases of blue/fin hybrids in Icelandic waters in the past. Sadly, most of these animals have been killed by Kristján Loftsson's company. 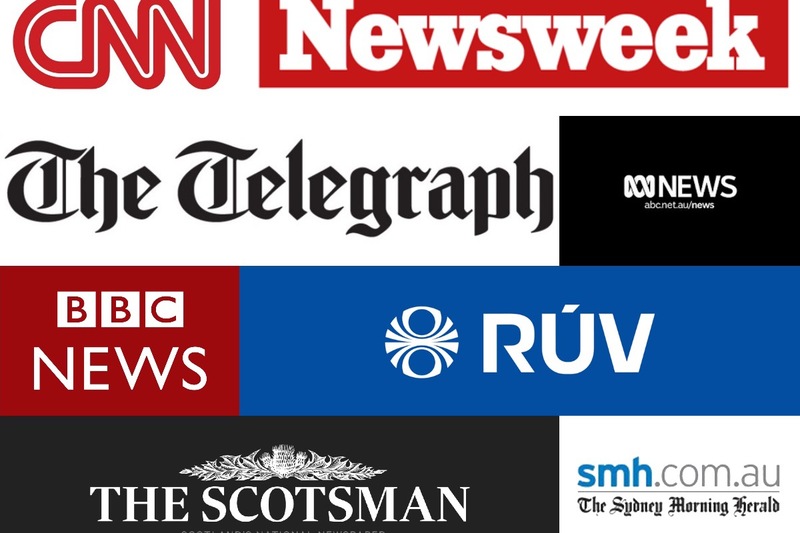 After having had our photographs examined by a marine biologist in Reykjavík, we released our footage to the local and international press as well as marine science community. Thanks to the help of our colleagues at Whale and Dolphin Conservation in the UK, our revelation was picked up by media outlets in Europe, North America, and even Australia. After we went public with our footage of Whale 22 several major media outlets covered Hard To Port's work and approached us for interviews. 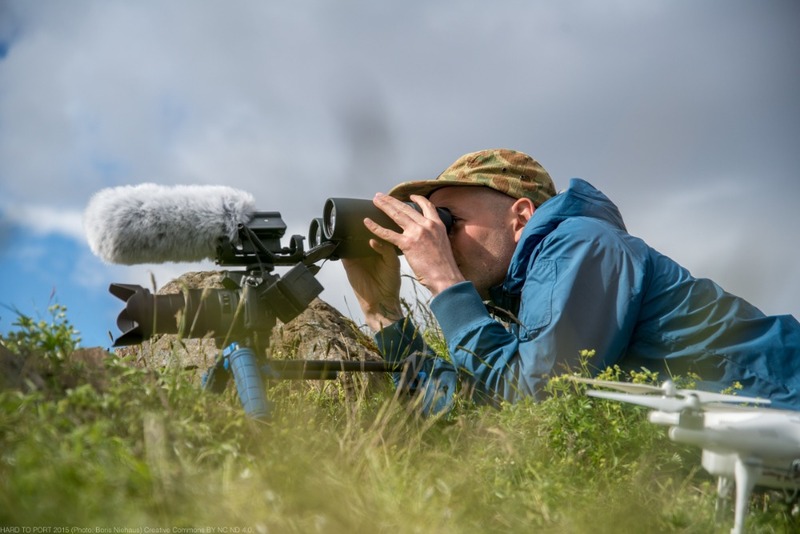 We once again managed to throw the spotlight on Kristján Loftsson's killing of endangered wildlife and were able to deliver our message to new audiences both in Iceland and abroad. 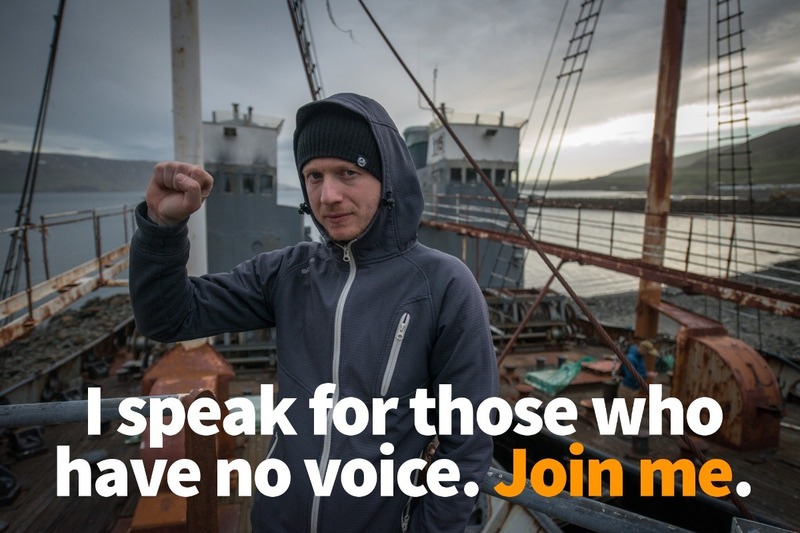 Hard To Port has partnered with passionate Icelandic activists to oppose commercial whaling since 2016. This summer has seen a number of protests organised by a coalition of The Vegan Society, The Vegan & Vegetarian Society and Hard To Port. 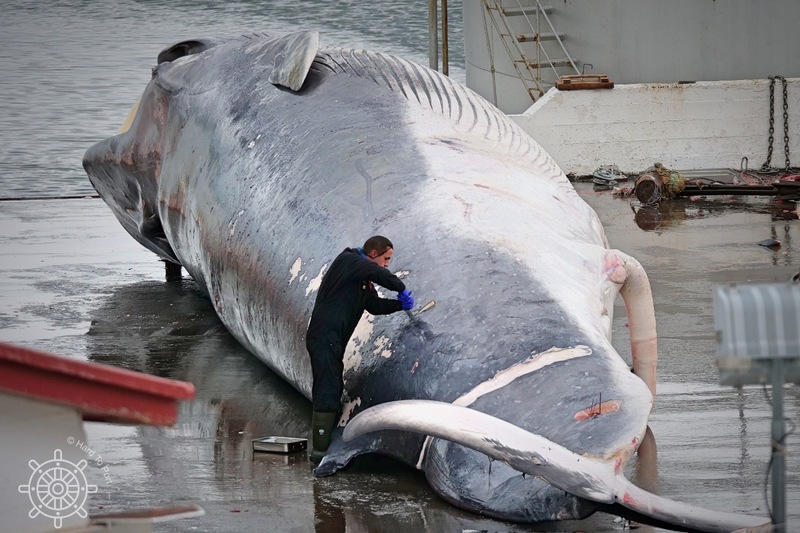 It has always been Hard To Port's belief that Icelanders should be spearheading the efforts to stop commercial whaling in their country, and this is what we are seeing right now. After spending a full month in Iceland, documenting and monitoring the hunt for endangered fin whales we had to take a break from our campaign in order to deal with media requests and to organise additional funding that would allow us to continue our 2018 campaign. Thanks to the generous financial help of our support base and a lot of people who believe in our campaign approach, Hard To Port will be able to head back to Iceland in mid-August for a 2nd leg of our campaign. We are truly sorry that it has taken us so long to provide an update of our campaign on this page. We promise to make sure to post more timely news on our GoFundMe page once we have sorted out the logistics and planning in the next few days. Thank you again for everyone's support. It really means a lot to us! thank you for following and contributing to my work with Hard To Port here in Iceland. Since I have been in the country for a couple of days, it is time for a first quick update to let you know what is going on. Let me share some good news first. The hunt for the endangered fin whales hasn't started yet. 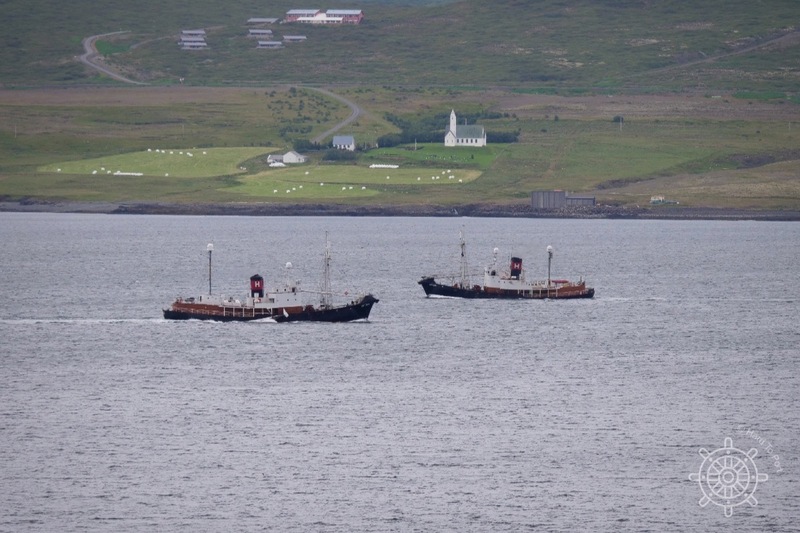 Both harpoon ships remain in Reykjavík harbour for now. 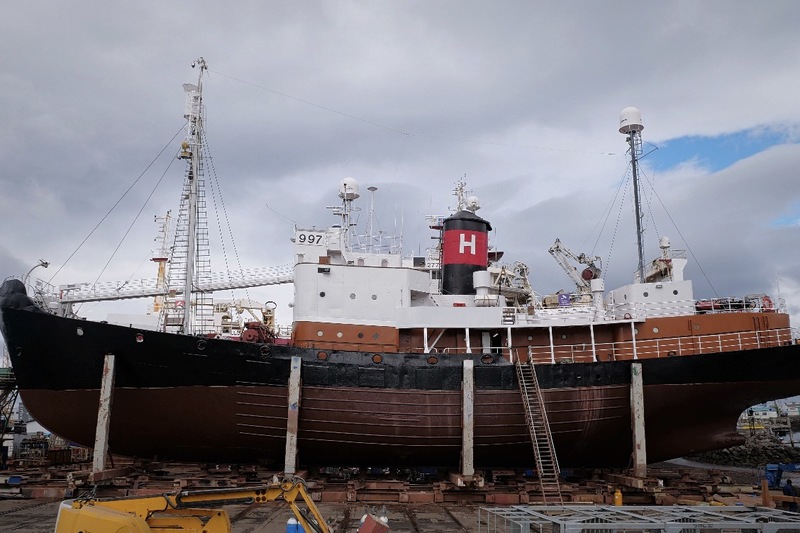 The Hvalur 9 is going through some serious repairs in dry dock, with both, the ship's propeller and rudder removed. That means the hunt will be further delayed this year. It is possible however, that its sister ship, the Hvalur 8, will depart tomorrow on Iceland's Independence Day. Hard To Port is following its movements very closely. 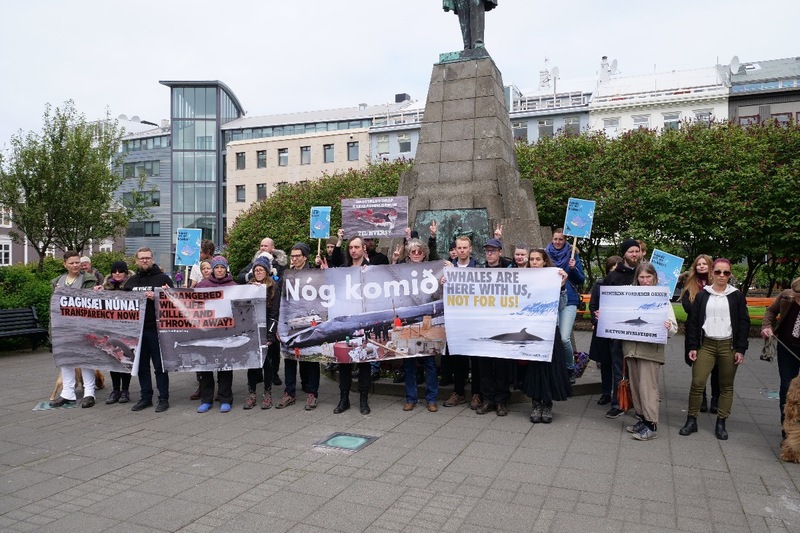 Last Sunday 40 local activists and members of the public held an unprecedented protest in front of Iceland's fin whaling fleet. More and more Icelanders are fed up with Kristján Loftsson's senseless killing operations and I am very optimistic that we will see more of this growing resistance from the local community in the very near future. I will post another update in the coming days!